Are you looking for a way to increase the efficiency and dependability of your New Jersey home delivery services? Then Booth Movers is the answer for you! Since the 1940s, our BBB-accredited and Pro-Mover certified business has been providing industry-leading commercial moving services to the Bergen County area and beyond. With a commitment to professionalism, our New Jersey home delivery company is a trusted agent of Atlas Van Lines, as well as an active member of both the American Moving & Storage Association and the New Jersey Warehousemen & Movers Association. With a highly trained staff and state-of-the-art equipment, you can trust Booth Movers to handle all of your New Jersey home delivery needs! Quality and customer service are the cornerstones of the Booth Mover’s philosophy. For over 70 years, we have built our reputation on providing the best in Bergen County delivery services and comprehensive moving and storage solutions. Each of our customers is treated with the utmost courtesy and respect, and our professional staff offers white-glove delivery for all of your New Jersey home delivery needs. From start to finish, our Bergen County delivery company will work with you to determine the services that best suit your business. 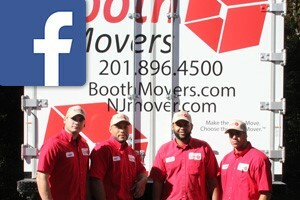 For the best in New Jersey home delivery services, look no further than the experts at Booth Movers! Business Relocation – If you need a team of professionals to help you minimize the downtime and impact of your business move, give Booth Movers a call today! Office Moving – Our office moving services will make your commercial relocation a seamless experience. Employee Relocation – Keep your employee relocation on budget and on schedule with the experienced team at Booth Movers! Are you interested in learning more about the New Jersey home delivery services that Booth Movers offers? Give us a call today, or fill out our simple online form to request your free, no-obligation estimate!